Old Norwood Custom Raised Ranch on Double Lot (2 PINS) ESTATE SALE- 81X113X96X129 Corner of Nina & All the Way to the Corner of Talcott. 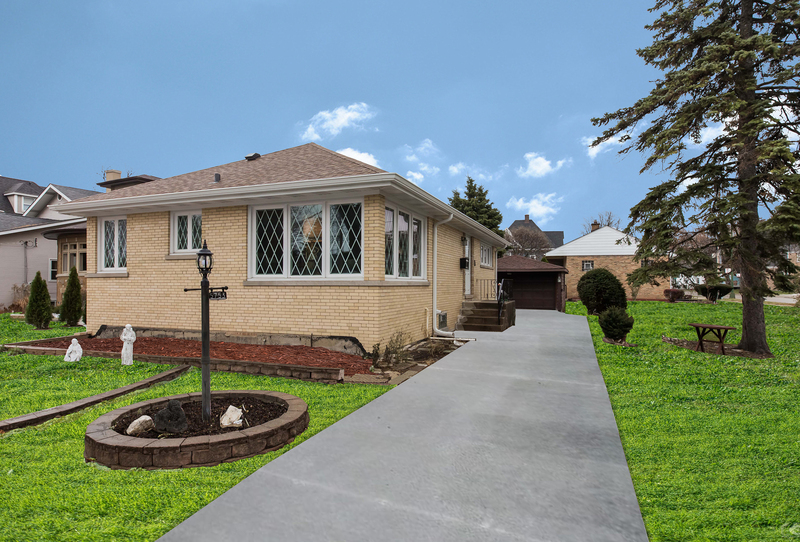 GO UP OR REHAB for an Amazing Location & Lot- Custom Built All Brick Ranch Featuring Coved Ceilings in LR/DR, Eat-In Kitchen, Private Master Suite with Full Bath, Hardwood Flrs Thru-Out and Expansive Basement with Plenty of Room to add more Bedrms. UPDATES INCLUDE- Windows, Roof and Exterior Doors.....Needs Cosmetic. SIDE DRIVE & 2.5 CAR GARAGE. Great Location with Close Proximity to Schools Including IC, Norwood Park Elementary and Taft HS, Hospital and All Public Transportation.